In today's demanding and continuously-evolving business environment, Contact Centers are focal points for the collection of all customer service data and information related to an organization's customer base. 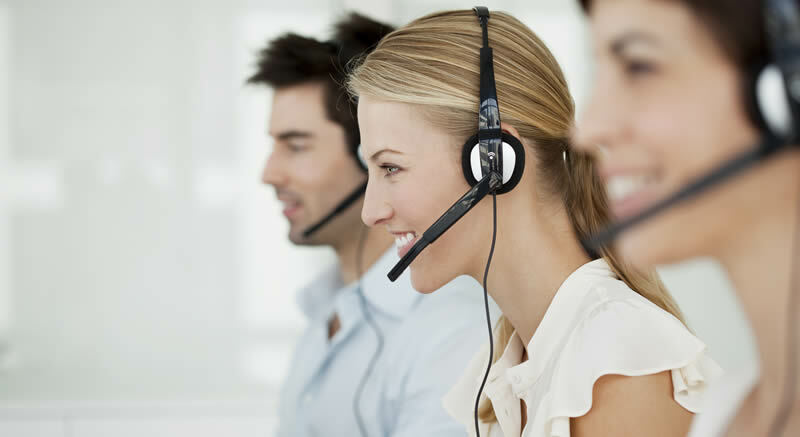 As an essential part of the customer care environment, Contact Centers present an increasing scope beyond the ordinary functions of marketing and support to include integrated services such as Advanced Customer Care, Telemarketing, Technical Support, Automated Self-Service, Customer Retention, Debt Collection, etc. Consequently, organizations face the challenge of delivering consistent levels of customer service through Quality Indicator Agreements, regardless of the channel of communication utilized or their customers' locations.Moreover, organizations are increasingly interested in adapting the capability to focus on better, differentiated customer services and on increasing the value of their customer relationships through the cross-selling of additional products or services. There is also a growing need to gain insights from all customer interactions and turn them into an exceptionally-valuable source of decision-support information. By obtaining accurate and timely information from customers, investigating specific occurrences, and by understanding customers' intentions, better-informed business decisions can be made. On this challenge, INTRACOM TELECOM responds with a proven, carrier-class portfolio of Contact Center solutions providing a clear view on how to deliver enhanced Customer eXperience and create exceptional customer loyalty through a customer-centric approach. Capture interactions and the information related to them from all relevant customer touch-points. Analyze the captured content and interactions' raw data to understand the customer experience, examine customer responses and analyze employees overall performance in order to identify areas of improvement and how to optimize business processes following evolution in communication. Present the analyzed results in the most efficient attractive manner, to allow quick and efficient decision making by means of state-of-the-art graphic user interfaces, advanced visualization tools, the ability to drill down and playback recorded interactions, as well as advanced reporting tools. for its successful long-term collaboration in the broader ECEMEA region and for its commitment for excellence. INTRACOM TELECOM has also a proven record of successful recording solutions deployments for major telecom operators, banking & financial organizations in Greece and The Balkans. The company has also moved beyond the plain offering of a Call Center solution implementation and integration, and provides highly-valued consultancy services to its customers through a powerful team of skilled and experienced professionals. The offered state-of-the-art solutions and associated services, which aim at diverse operational and business environments, realize the importance of human resource practices and involved technologies in creating high-performance Contact Centers. Assured integration of the offered Omni-channel Customer eXperience solutions with diverse systems (CTI, CRM, ERP, IVR, PBX, Multimedia Recording, WFM, backend, etc.) from multiple vendors. Distributed architecture of IP Contact Center solutions to facilitate VoIP evolution and reduce the current and future OpEx that might appear due to Contact Center location or relocation constraints. Assured Contact Center expandability beyond the traditional bounds of Customer Care to every group of resources in the organization giving the enterprise the ability to offer an outstanding Customer eXperience. Solutions are based on a bundle of best-of-breed products that exploit the most recent technology features to assure a low cost of ownership (TCO) and to protect investment. Business, Consultancy & Operations Services. Arrangement of a "Contact Center Orientation Workshop", prior to potential project initiation, to acquaint customer with the best practices and technical capabilities in the area of Customer Care solutions and Services optimization. Solutions leverage the organization's available resources and infrastructures, and allow the rapid deployment of new, short time-to-market services, for quickly responding to the always-changing market demands and for enhancing the overall Quality of Service (QoS) toward the end customer. 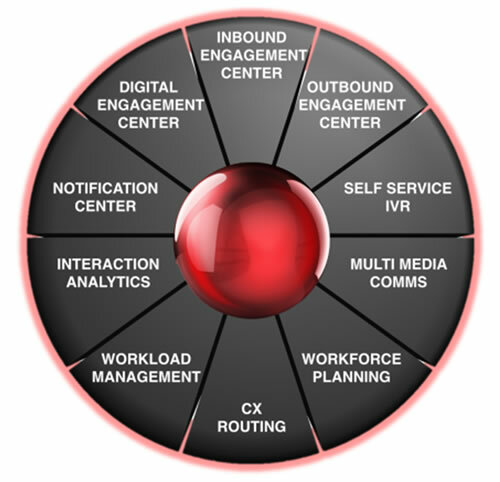 Designed to deliver Outstanding Customer eXperience, the GENESYS Customer Engagement Hub (see schematic below) enables real-time interaction, as well as sophisticated routing and reporting of customer interactions across multiple customer touch points such as voice, e-mail, Web, Social and Mobile channels. The platform ensures that customers will be served according to companies' predefined criteria, logic and available resources. Businesses are enabled to deliver customer service across any network and any site, leveraging investments and existing infrastructure. The offered solutions are based on open standards, and can quickly be integrated with leading CRM applications to ensure effective enterprise applications integration and better use of customer information for personalized service. Business environment changes dynamically and rapidly. Operations get more complex, involving distributed locations, at-home agents and outsourced service units. In many cases, business systems are disparate and data is siloed. Simplifying the complexities of the Contact Center environment. Allowing people to focus on actions that generate business impact and drive results. Aligning people and processes toward the same objectives. The result is improved business operations and facilitated decision making, obtaining insight into customer and market dynamics and promoting proactive business management. The offered Recording / Workforce Optimization / Business solutions implement a wide range of advanced capabilities for Contact Center management. These capabilities are combined within an open framework that is based on a Service-Oriented Architecture (SOA), and are integrated within a field-proven, structured service and business consulting methodology. The service methodology from INTRACOM TELECOM combines domain expertise with industry best practices and benchmarks. Utilizing a structured process of discovery, analysis, recommendation and implementation, organizations are enabled to develop a comprehensive understanding of their business goals and results.